This content originally appeared on Jhpiego’s website. Past the winding roads that weave through the lush green hills of Rwanda’s Southern Province, the quiet village of Bugaba is tucked along a dirt road. Here, community health worker Theodosie Nyirakamana provides health information and services to women who wouldn’t otherwise be able to access such services without making the arduous journey to the Kamonyi health center nearly an hour away. Although she had dreamed of becoming a doctor, Theodosie didn’t have the opportunity to pursue a medical education. But, nearly a decade ago, when her village chose her to be their community health worker, Theodosie fulfilled her dream of helping others. Since then, Theodosie has proudly educated women about reproductive health services and encouraged them to seek care at the health center. 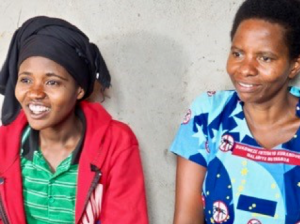 Despite Theodosie’s enthusiasm and efforts to mobilize villagers, many of the women would skip their visits to the health center—lacking the time and desire to overcome the challenges of traveling there. Eventually, she realized that her efforts would be for naught. The villagers couldn’t get the care they needed without transportation and other resources—and Theodosie couldn’t provide the care they needed without more knowledge and skills. Theodosie’s situation changed when, in 2016, the Rwandan Ministry of Health and local organizations trained her and other community health workers to provide family planning counseling and methods directly to their communities. The training equipped Theodosie with the knowledge and skills needed to provide these services in her village. “The women used to tell me they couldn’t plan their families, but now with these services, they are very excited and happy,” Theodosie said. 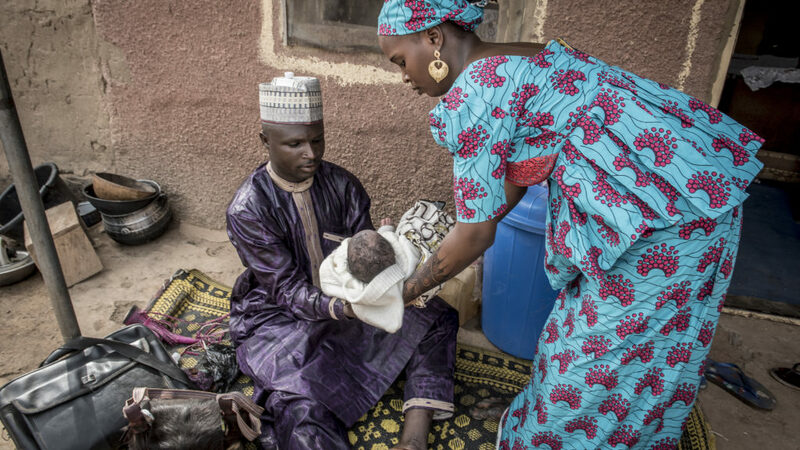 To further strengthen Theodosie’s skills, the United States Agency for International Development’s flagship Maternal and Child Survival Program, led by Jhpiego, introduced regular mentorship opportunities. Every 3 months, Theodosie and other community health workers from neighboring villages practiced providing family planning counseling and methods, supervised by a mentor from the health center. Peers and mentors observed the health workers as they delivered care to clients. Afterward, the group discussed what the health workers did well and what they could improve. Mentors also used the visits to strengthen client tracking and data collection at the community level, so that health centers could better plan their services and meet health needs. The mentoring program bolstered Theodosie’s confidence in her ability to provide health services to women in her community—women like Josianne Mugiraneza. Josianne knew that after having two children, she didn’t want any more. She contacted Theodosie who discussed with her the value of spacing births and all the family planning methods available, from cycle beads to injectables. Josianne chose an injectable contraceptive. After getting her first dose at the health center, she visited Theodosie for subsequent doses in her community. With the data from her monthly reports, Theodosie can get the necessary supplies from the health center and follow up with women to ensure that they attend their scheduled visits. Through programs supported by the Maternal and Child Survival Program, thanks to the United States Agency for International Development, the number of women receiving or maintaining a modern family planning method in Rwanda increased from 384,805 in 2015 to nearly 500,000 today. Theodosie now attends to at least a dozen women each month in Bugaba—from women who have just started a family planning method after giving birth to women she has seen regularly. Theodosie’s work in her small village, as well as that of hundreds of community health workers like her, has become an integral part of the fabric of the Rwandan health system. Rwanda’s investment in community health workers is among the country’s achievements in increasing family planning access. The fifth International Conference on Family Planning in Kigali in November will be an opportunity for countries to share practices that have worked and celebrate successes. Theodosie and the other community health workers can be counted among the successes. They have been empowered to deliver quality health services to the women and families who need them most, whether in a quiet village or a bustling capital.